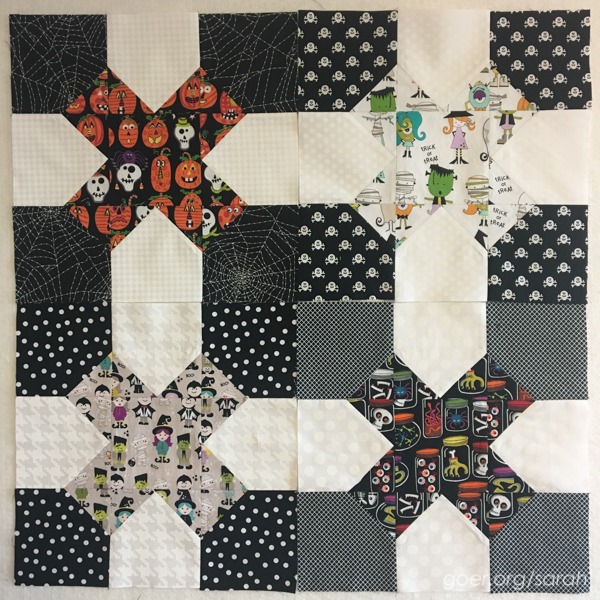 The Halloween quilt is so fun! Thanks! I look forward to seeing the blocks that others send her for the quilt. I think it will be so fun and her son will love it! 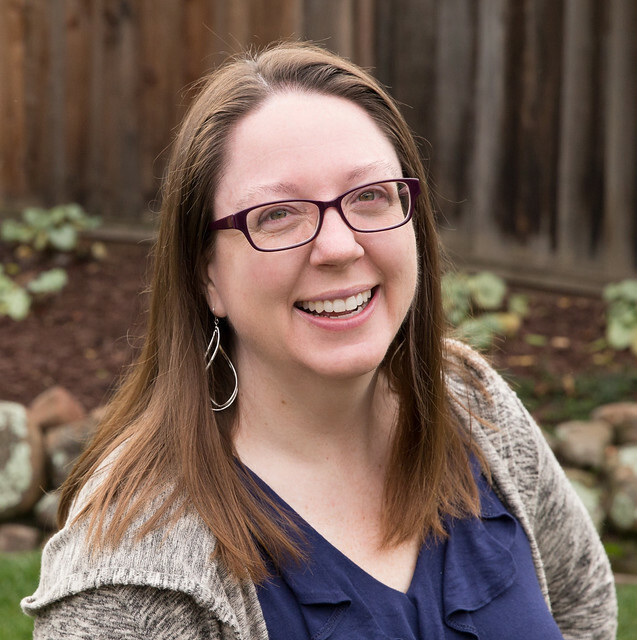 Hi Sarah, it's funny, I published a bee block post today. I referenced the surprise blocks you made for me. Those Halloween tic tac toe blocks are delightful! You have some great fabrics! Take care, Mary. I love your year in review post. So many fun blocks! Thanks for visiting, Mary! I really need to get on making a Halloween quilt for myself. Playing with my Halloween stash was a reminder of that for sure! I hope you enjoy taking a bit of a bee break. I am also stepping away from the Stash Bee next year. I've enjoyed getting to know you through the bee, we'll miss you (though of course I'll still be following your blog)! Yep! ;-) Half credit goes to you! New to Quilting and I would love to join a bee. I am having trouble finding an open one. Do you have any advise about finding one? 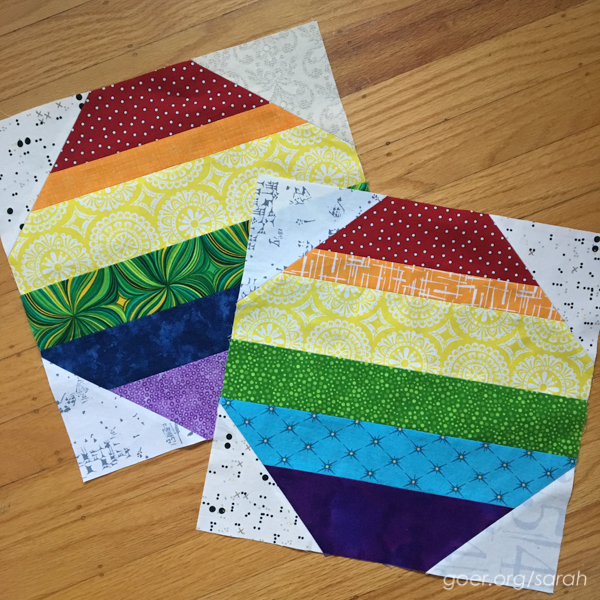 Also I love all your quilts and fabric choices!! Stash Bee and The Bee Hive are no longer accepting applications for 2107. :-/ Mark your calendar for Fall to check those next year during signup time. You can check do. Good Stitches, the charity bee... depends if you are looking for a bee where you'd receive blocks to make your own quilt, or if participating in a charity bee for making quilts for others would work for you. In do. 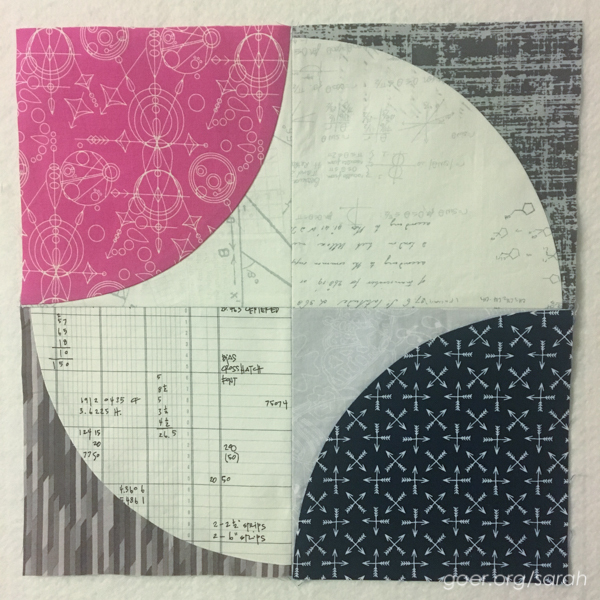 Good Stitches quilters can sign up to sew blocks monthly or to also be responsible for picking block design and finishing the quilts two times a year for their group. It's all organized through Flickr groups.